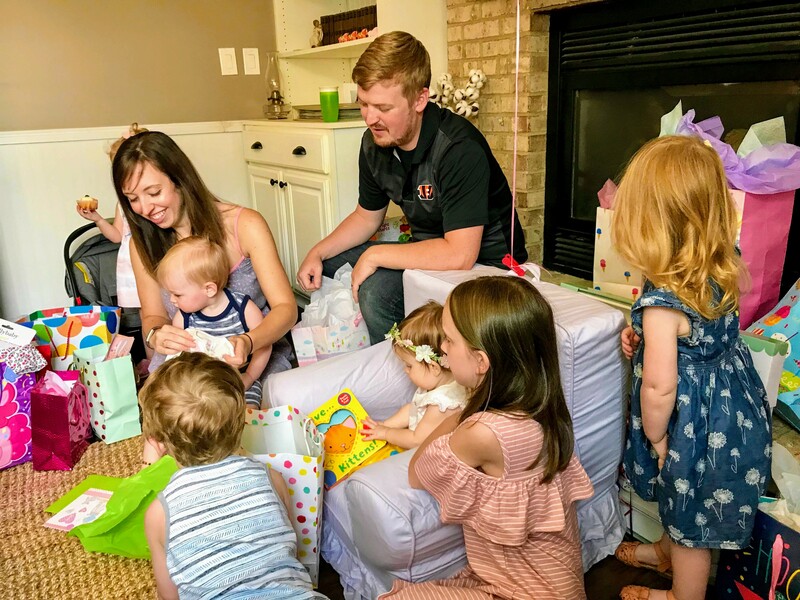 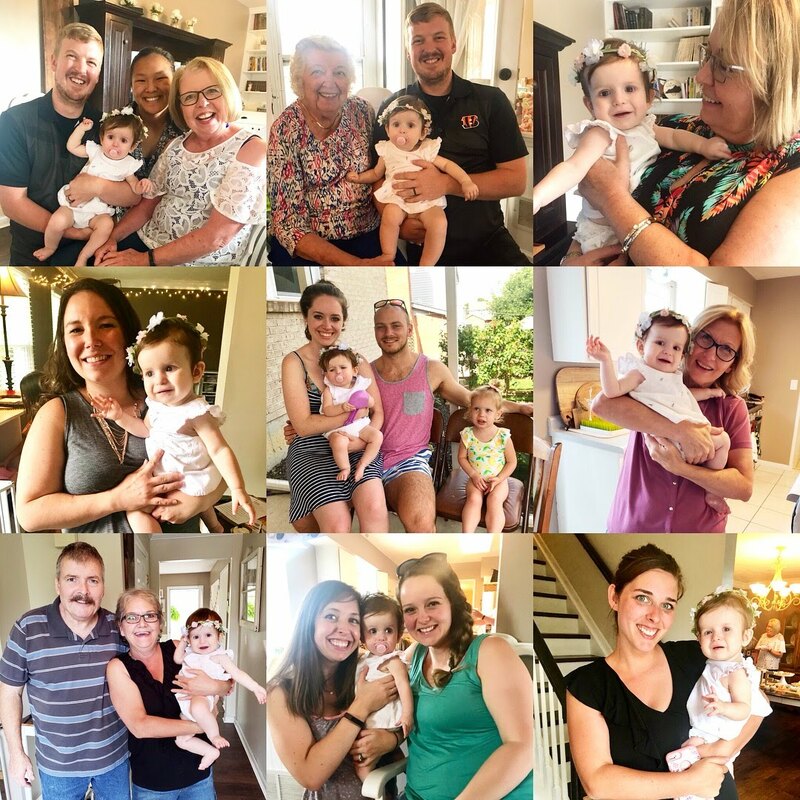 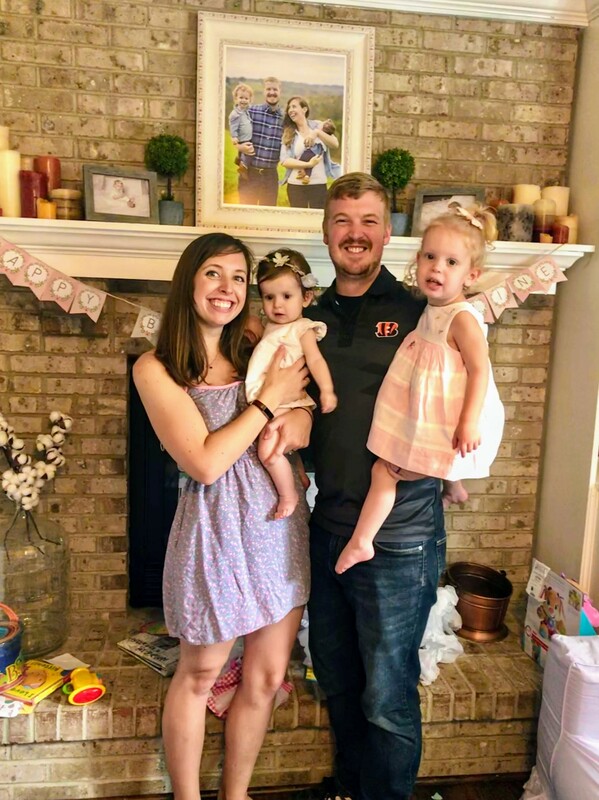 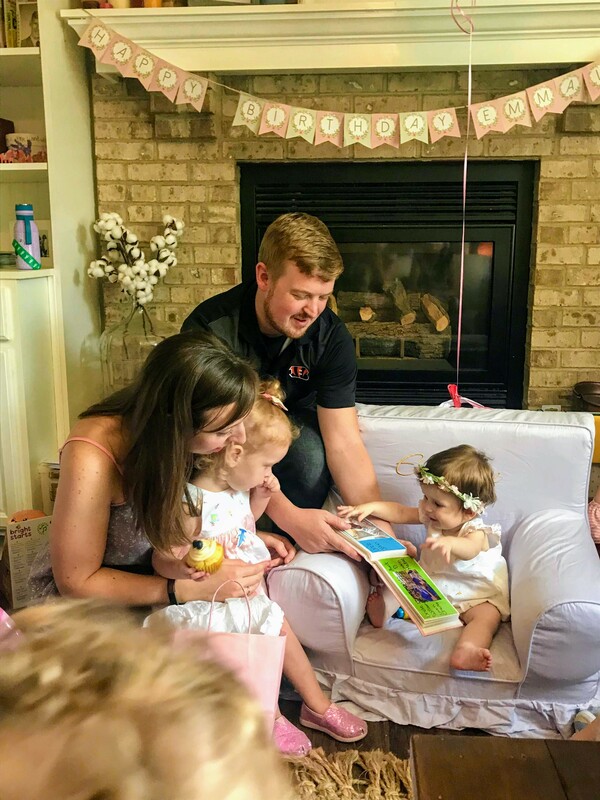 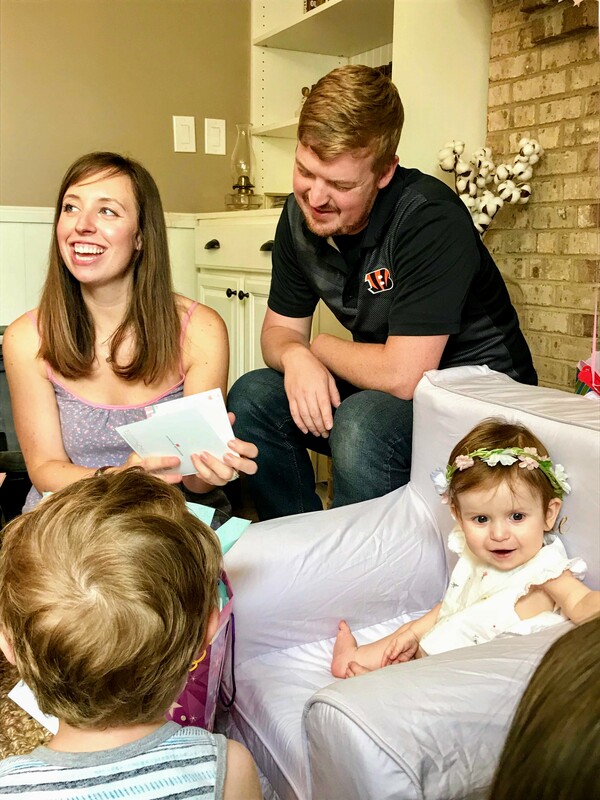 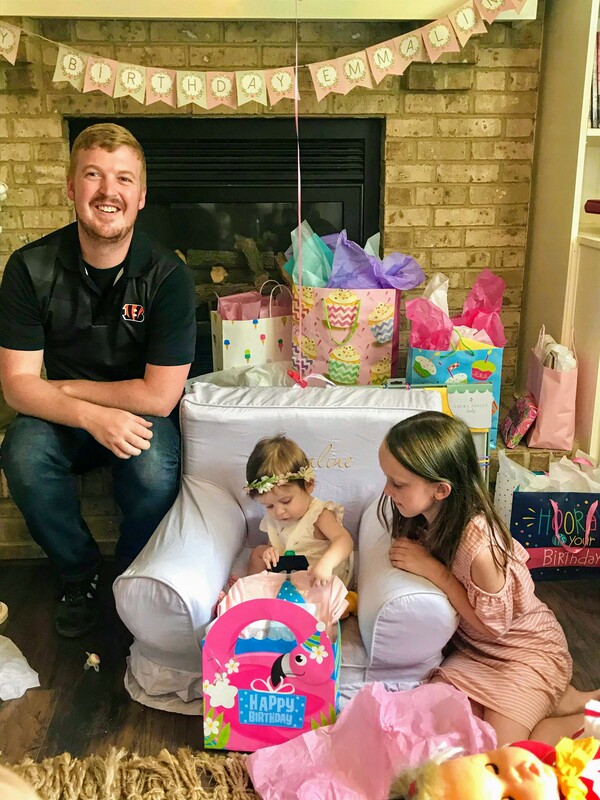 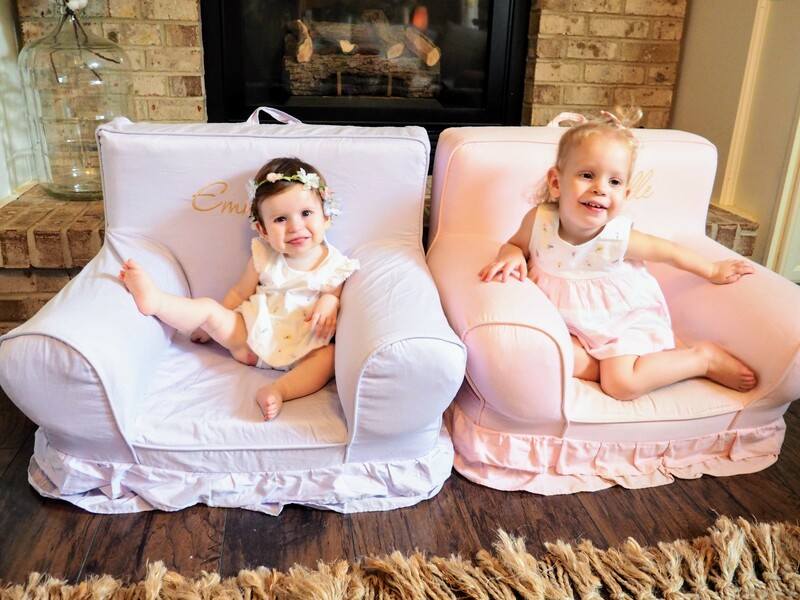 Saturday, July 28, 2018 – we celebrated our sweet Emmaline Larain’s 1st birthday with her family and a few close friends on her actual birthday! 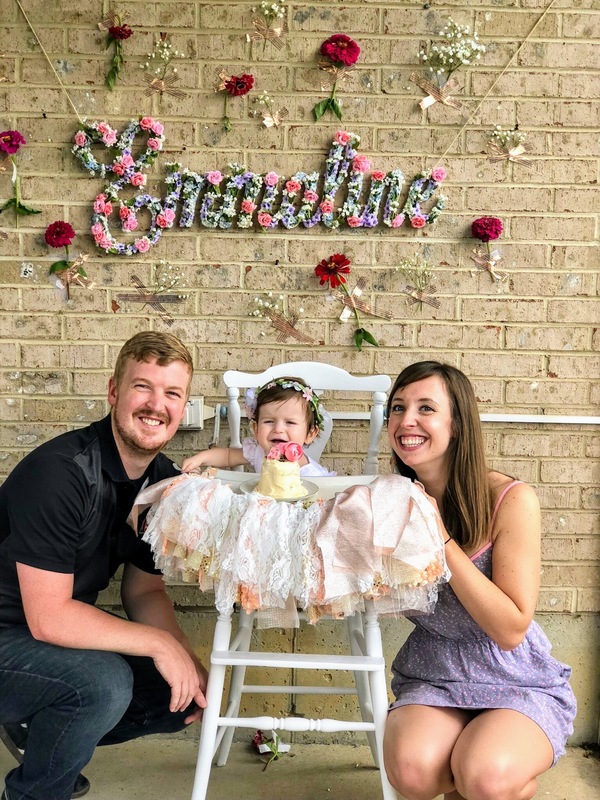 It was such a special time remembering all the light and love that came into all of our lives a whole year ago on that day when Emmaline was born. 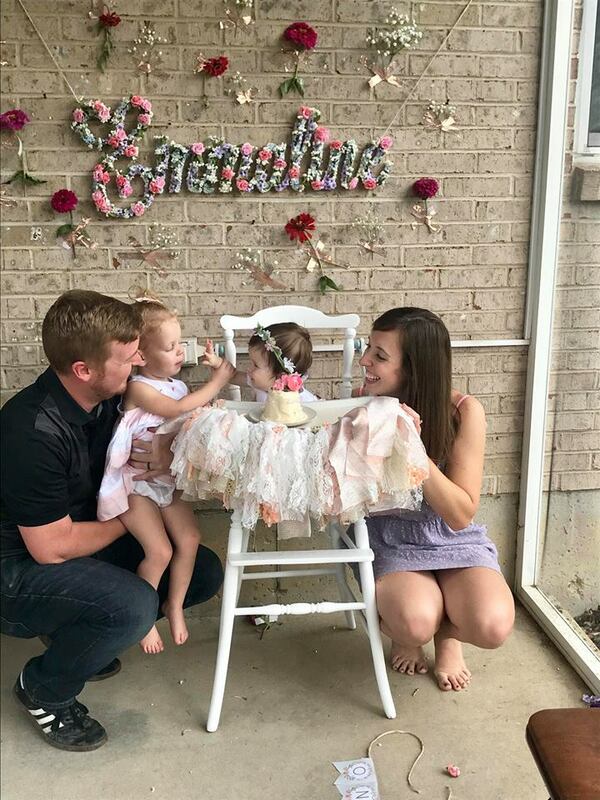 There seemed to be a floral theme throughout Emmalines life. 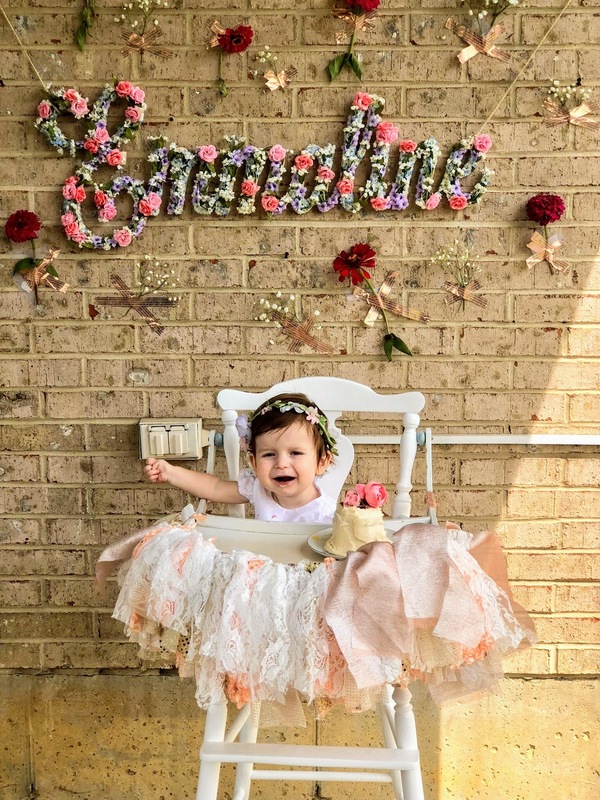 Her nursery is a garden theme, Both her baby book and pregnancy journal were floral themed and so was her monthly pictures. 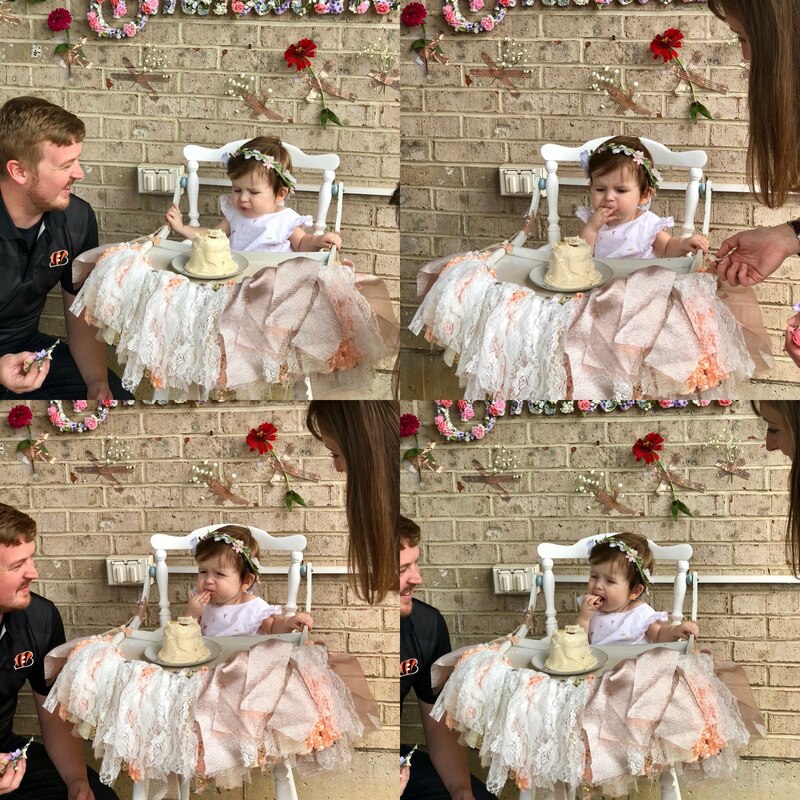 So it only made since to Theme our little flower child’s birthday party in full bloom floral since we had been watching/helping her grow for a whole year!.. 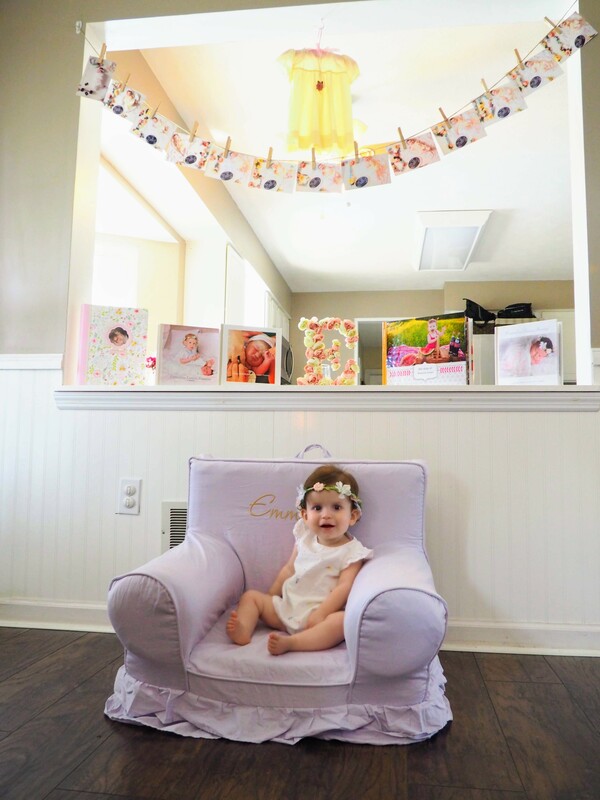 plus it made it super easy (and cost effective lol) to decorate since all we had to do was bring some of her decorations down from her nursery to decorate the party. 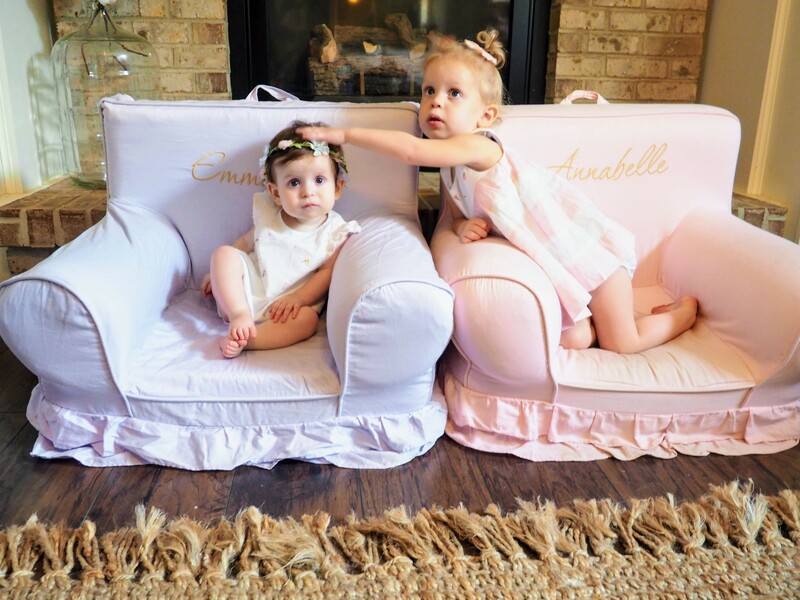 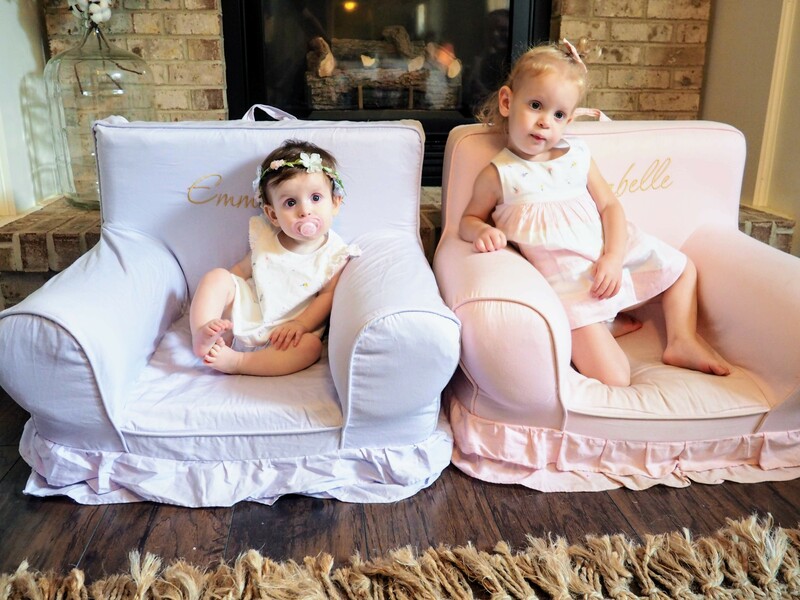 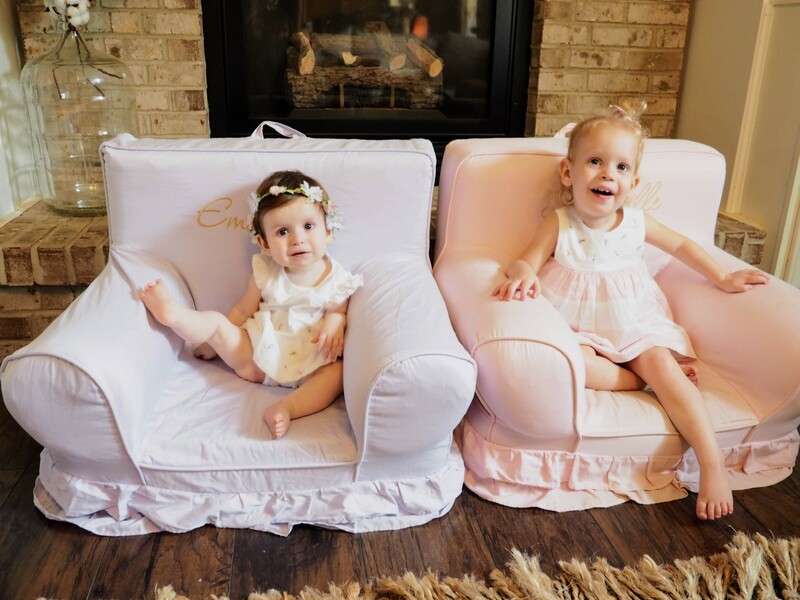 When planning a 1st birthday party too it’s always super important to try and schedule it around the birthday girls nap time so they are well rested and ready to smash some cake! 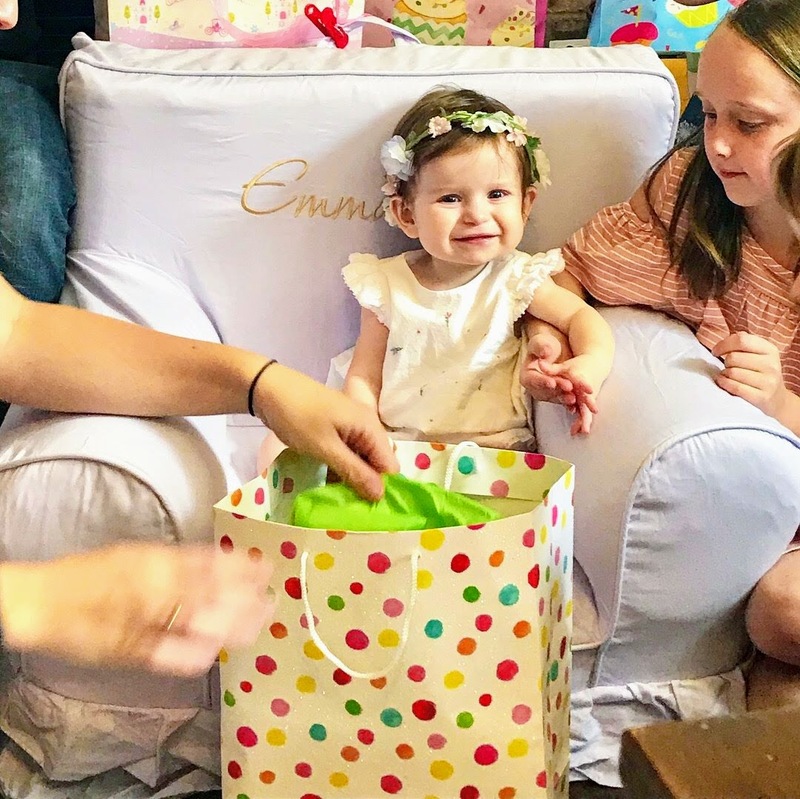 So we decided to have a brunch birthday party because Emmaline’s morning nap has always been pretty consistent(… except for the day of her party of course lol). 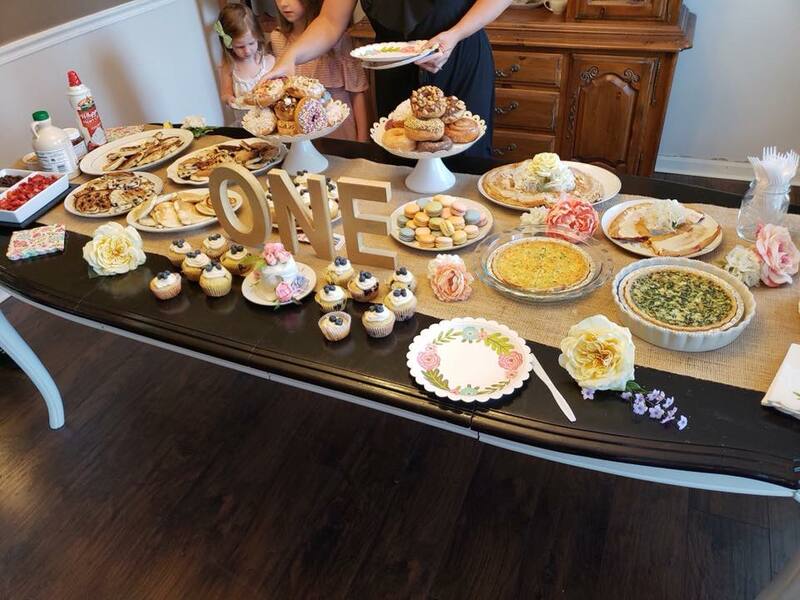 She also seems to favor breakfast foods, with Pancakes and donuts being her favorite right now. 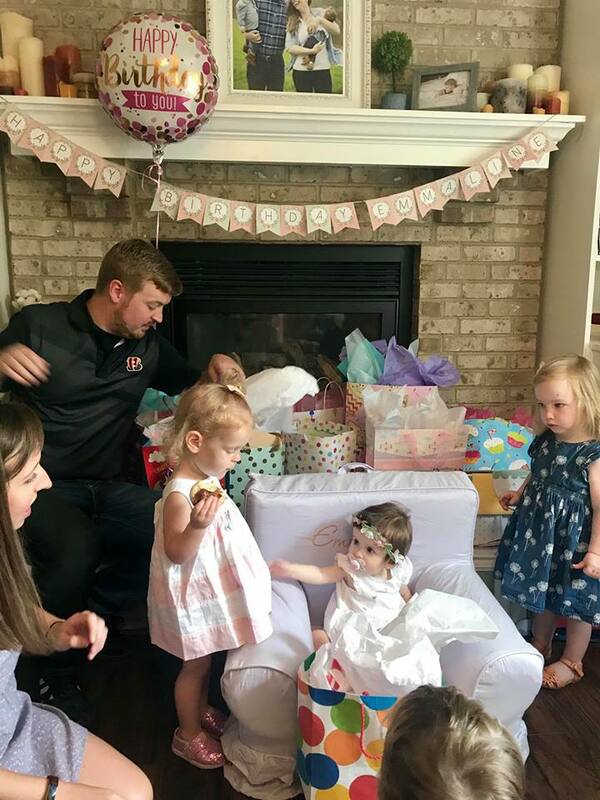 So we decided to have both those items since they’re what the birthday girl prefers.